Tech, Movies & Video Games Discuss technology, movies and video games here. because there's a new one coming soon and I saw someone else do this, so thought id copy. There isn't really such a thing as a 'bad' pokemon game tbh but for the sake of the list im just ranking them on how good I think they are overall. I'm not a big video game player and the Pokemon series is the only game franchise thats really interested me over the years. So heres my little run down and opinions on them all.. I don't think theres any way these games couldn't be put last. Yes they have a big nostalgia factor for a lot of people, but lbh compared to how the series has evolved over time, these games feel very outdated and old. They were re-released on the 3DS in 2015 and were fun to play and remember the old days of the original 151 Pokemon, but there were a lot of features missing from the games that I found I missed a lot. The major differences are 1) no abilities 2) no gender/gender differences 3) lack of diversity in pokemon 4) the Kanto region is pretty boring looking back and 5) everything is just so much effort! Thankfully the days of having to teach a Pokemon a HM move in order to cut a bush or surf or fly are long gone, and its in older games like this that remind you just how much of a chore that really was. Another annoying thing about these games is many in-game pokemon can only be obtained by trading (Mr.Mime/Farfech'd/Jynx etc) and once you have them, they have a nickname that cannot be changed. Having to play with a Jynx called 'Lola' was horrible. Also having to catch a certain amount of Pokemon to be given items like the Exp.Share was a nightmare. The storyline was pretty basic. 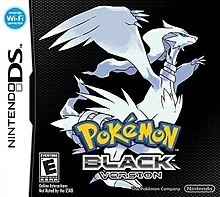 Beat 8 gym leaders, destroy the villainous teams plans, beat the elite 4 and become champion. But it set the trend for the future generations of games, and with nothing to compare it too at the time, that didn't really matter. I would've ranked the 'sequel' game separately, however 'Yellow' version is pretty much the same as the previous 2, except you start with a Pikachu and can obtain the other 3 starters throughout the game. These games are lucky they had the anime at its peak to support them, because without peoples nostalgia of the great anime and the interesting characters such as Misty/Brock/Sabrina etc. these games might not have been remembered in the same way. Either way, they're still great games and fun to play, see all the old sprites and remember life before the future 700+ Pokemon were introduced. Last edited by Saph; 15-04-2019 at 03:34 PM. Generation 5 is still a well debated topic in the pokemon community. Some people love the games and the 're-invention' they brought, others thought they were just trying to be too much like the original Red/Blue games. For me, I like that they tried something new, and that for the first time since Gen 1, the only Pokemon obtainable in the games were those of its generation, however I think it was a risk that didnt pay off as well as it could have..
One of the major downsides of these games is that a fair amount of the new Pokemon introduced just seemed to be rip-offs of earlier Pokemon. After people complained about the design changes in Gen 3, Gamefreak played it safe for Gen 4 and made more 'traditional' looking designs similar to that of the first 2 gens. For gen 5, they must've thought of ways to make new designs without people getting upset and so decided to just copy the concepts of some of the original 151. Something I've always disliked about these games is how when your Pokemons health goes into the red, the battle music changes and plays an annoying song using the low-health beeping noise from the previous games. Another song change is during gym battles when a gym leader sends our their final pokemon. Its not the worst thing, but just a bit unnecessary and distracts from the battle. I was never a huge fan of the moving sprites either, they all seemed very robotic and awkward, especially when compared to the 3D models introduced in X&Y one generation later. As far as the region itself, Unova is probably one of the most interesting. Based loosely on the USA, we see cities/towns based on NYC and Las Vegas, as well as lots of cultural references and interesting places such as a desert with desert ruins, windy and rainy routes, and more. While Black & White 2 expanded on this and gave a few more interesting places, B&W's Unova is still pretty fun to explore. Overall, these two are not my favourite games in the franchise and ones I've rarely played again. Purely because they have such a long story and it feels like it takes forever to get to the elite 4, and once you eventually beat them, this whole drama with the villainous team happens and it just throws the usual format completely off which I didnt like at all. Luckily though, B&W2 rescue the bad taste left by B&W a couple of years later, but ill get to them further down the list. Last edited by Saph; 15-04-2019 at 03:35 PM. I love gen 5. It was such a huge leap up in terms of graphics that I don't think the series will experience again as we went from Sinnoh to Unova and changed consoles as well. The games on the Switch don't seem all that different to the end of the 3DS era. Last edited by Elliot; 15-04-2019 at 04:15 PM. Not hating really. All Pokemon main games are great. The first remake games we ever got. It kinda saddens me to put these two so low down.. but there's not much I can really say about them other than they are essentially nicer looking versions of Red and Blue. I haven't played these games in many years so I cant really base too much off of my own opinions, however one thing i always thought about these games is how the soundtrack wasn't as good as that of Red and Blue. The simple, almost creepy music of Gen 1 sadly wasn't translated over to these Gen 3 remakes. Instead we got a rather odd mashup of Ruby & Sapphire soundboard sounding songs which didnt really work for these Kanto remakes. Ultimately if you're wanting the Gen 1 experience but don't wanna pay for a Switch for Pokemon Lets Go and don't wanna try and trudge your way through the early Red & Blue games, then FireRed & Leafgreen are probably the way to go. Although these games are so old now it seems like they should get a proper remake of their own! Last edited by Saph; 15-04-2019 at 04:24 PM. Black and White were excellent games. I loved that the game had more story than most and having your league challenge interrupted by an attack from the enemy team left me shook tbh. I love the risks they took with that gen. I'd have put Diamond/Pearl near the bottom. While the online features were amazing, I felt everything else fell a little flat and the type balance of pokemon in that region was trash. I still can't get over the fact they had an Elite 4 member that used fire pokemon in a gen that only had two fire types in it's pokedex. Seeing Flint having to use the likes of Lopunny to pad his team out was too much. X&Y came at a rather unusual time in the Pokemon franchise. After years of the same 2D, kinda 3D format, fans were wondering when Gamefreak were gonna try and make an actual 3D game. 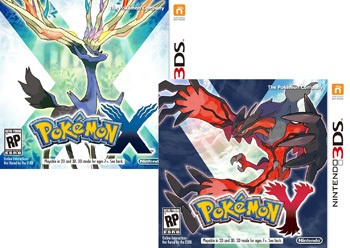 With the introduction of the 3DS, we got our first proper 3D Pokemon games in X & Y! But there was something very anti-climatic about this pair.. I still can't really put my finger on it but i'm sure many will agree when I say something just didnt feel very polished about them, they seemed rather rushed, maybe to coincide with the release of the 3DS console.. maybe to try and brush over the backlash from B&W... either way, they're still fun to play. Aside from the 3D sprites, these games introduced a big feature to the franchise, and that was mega-evolution. While I would've much preferred some actual evolutions, similar to what we got in Gen 4, I appreciated these new designs for the megas. But this was a phase that very quickly got old. When already perfectly strong pokemon and even legendary started getting mega-evolutions, the excitement of this new feature started to fade. There were many pokemon that could've genuinely benefited from getting a mega-evolution, instead gamefreak decided to give the majority to fan favourites like the starter evolutions, Mewtwo, Garchomp, Lucario etc. Megas were continued for Omega Ruby & Alpha Sapphire, but much to my delight they seem to have been phased out in Gen 7. Another downside to these games for me is how few new Pokemon were introduced. In fact these games saw the fewest new pokemon introduced than any other games. This meant that throughout the Kalos region we were constantly met with reminders of Pokemons past scattered all over the place. Pokemon that were once rare and exciting now just appeared as common as a Pidgey through grass routes and caves. There were so many Pokemon shoved into Kalos in fact that we were given three separate parts of the PokeDex. I get that some people might actually want to catch them all, but there must be a different way to go about it than shoving nearly every single pokemon in existence into one region? We did get given a brand new type in 'Fairy' this generation, which turned some past pokemon into this new type. Based on France, the Kalos regions main city was based on Paris. A huge city, possibly the biggest in any Pokemon game to date. While the graphics were amazing and far beyond anything pokemon had given us before, i'm not gonna lie, having to explore that city whilst having certain areas blocked off for 'black outs' was tedious and got kinda boring. Unlike the NYC-based city from Unova, this Paris-based one had almost too many places to try and explore and too many irrelevant people to have to talk to. Also, when characters tell you to meet them at a coffee shop, they should really be more specific when theres about 500 in the city..
Another point about X&Y is how un-interesting Team Flare and their story line is. Something about a great war and a Pokemon dying and somehow that made some guy want revenge or something idk.. either way, it wasn't very gripping and you didnt connect with any of the members of the team, unlike in previous games. After Team Plasma's interesting and different story arc in B&W and B&W2, you'd have thought more effort would've been put in to achieve the same with X&Y. Maybe they were just relying on those new graphics.. Overall these games aren't terrible, they just have so much missed potential, with too much focus on graphics and mega-evolution to try and distract us from the fact that the game and region itself isn't really that exciting. and can anyone even remember any of the gym leaders from this game? me neither. Last edited by Saph; 15-04-2019 at 04:58 PM. I still can't get over the fact they had an Elite 4 member that used fire pokemon in a gen that only had two fire types in it's pokedex. Seeing Flint having to use the likes of Lopunny to pad his team out was too much. Embarassing fact: I remember finishing X when I was horrendously ill and delirious and I ended up weeping at the ending because that guy's pokemon forgave him for unleashing a genocide and came back to him. X is in the middle for me. I liked it a lot but it's just not one of my faves. You just can’t beat the OG’s yellow/red/blue I’m sorry. I haven't used mine. Still in that shiny box.